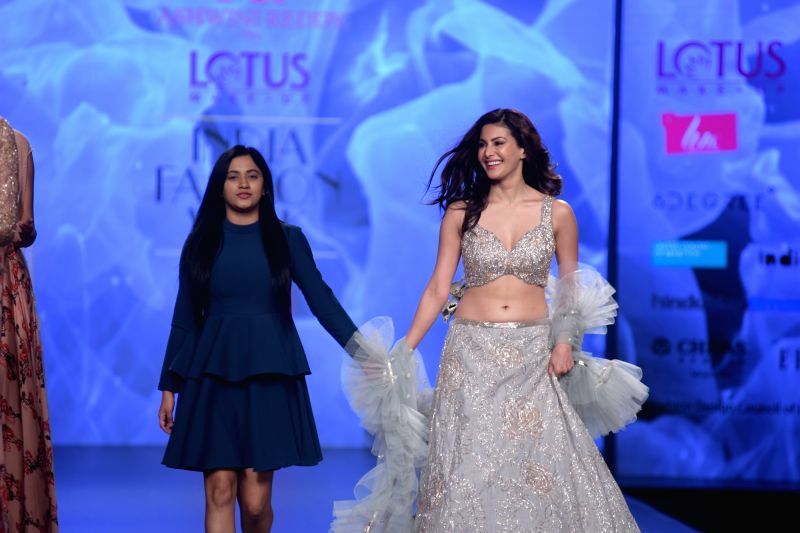 New Delhi, March 15 : From floor-sweeping lehengas, flowy gowns to dhoti pants and kurtas -- fashion lovers in the capital were in for a treat at the ongoing Lotus Make-Up India Fashion Week here on Friday. 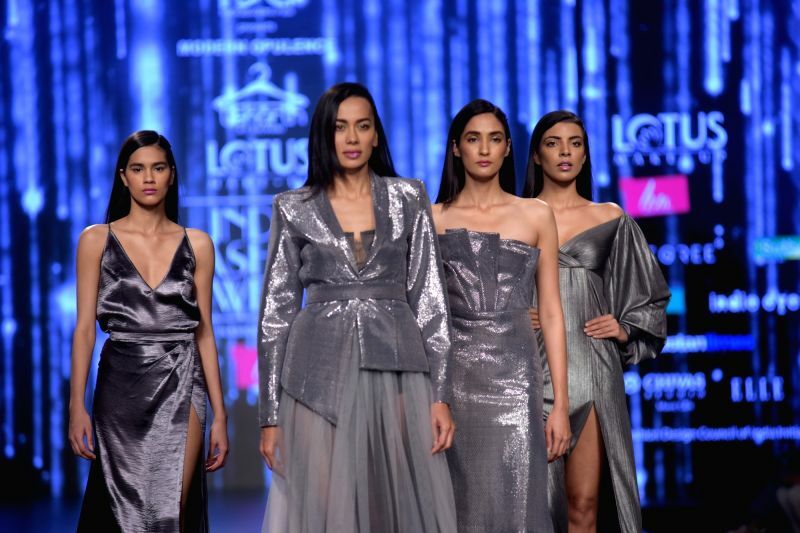 Designers Charu Parashar, Dolly J and Ekru came together for a show held at the Jawaharlal Nehru Stadium on the penultimate day of the four-day fashion extravaganza. 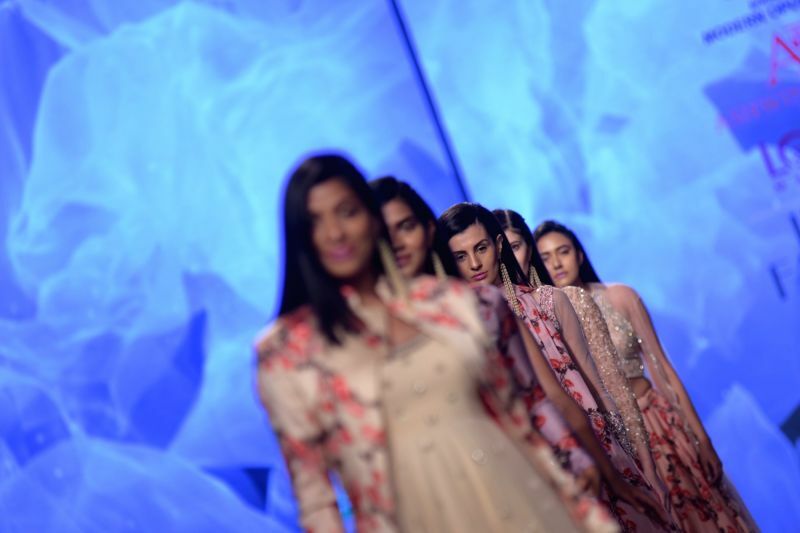 First came Parashar, who showcased an opulent line which saw a transition from the Mughals to the millenials. The collection saw a heavy use of reds and royal blues heavily embellished adding a rich finish to the line. 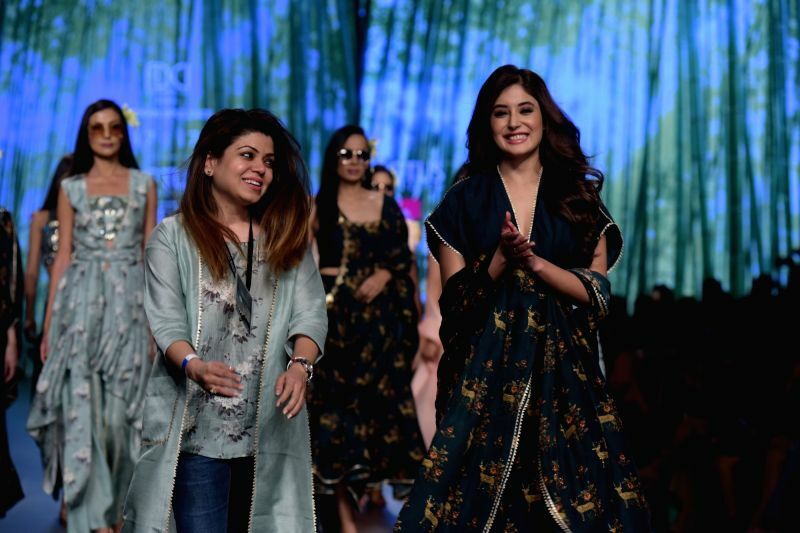 Bollywood actress Soundarya Sharma, who has featured in the film "Ranchi Diaries" sauntered the runway in royal blue deep-necked ruffled choli paired with a geometric and floral print lehenga. 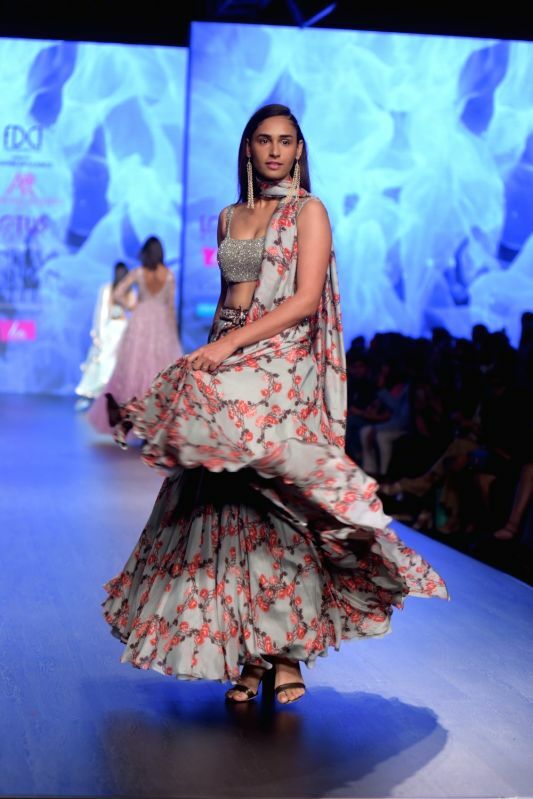 "Florals and prints become my USP for my collection and this season we have used a lot of sustainable fabric like Khadi silk," Parashar said. She also launched a quirky menswear range, and her son Arjun walked the ramp in a coordinated tracksuit with a faux fur jacket. Next was Dolly J, who showcased a myriad range of evening and cocktail gowns. "The line is totally inspired by the northern lights which have beautiful colours," Dolly told IANS. Up next was Ekru, which showcased a line titled Ekla, taken from legendary poet Rabindranath Tagore's lyrical anthology "Gitabitan". The collection brought the cultural wearing styles of old Bengal. Some drapes were inspired from the Brahmika sari. The silhouettes saw an intricate mix of fluid draping and traditional cutting.